Two Hundred Twenty-Five Things to Do! You’ve probably seen it on our site. Back in 2008, we created a list of 225 things to do in Baton Rouge. It featured all our city’s classic restaurants, landmarks and traditions. Ten years have passed, but it’s remained one of the most popular articles on 225batonrouge.com. And while much of that original list is included in this brand-new cover story you are reading today, much of it is, well, not. Restaurants and shops have closed. New businesses have opened. And Baton Rouge has evolved beyond what any of us might have pictured a decade ago. Included on the original list: Shopping for leather slingbacks at the now-closed Imelda’s Fine Shoes’s semi-annual tent sales. Checking out the local missed connections section on Craigslist (the internet was still so young, wasn’t it?). There were a lot of road trips included, too. We’re proud to say we did not need to include any road trips this time around. Nearly everything on this list is within the parish or just across the parish line. Because in 2018, there are way more than 225 things to do in Baton Rouge. Here are a couple hundred to get you started. 1. 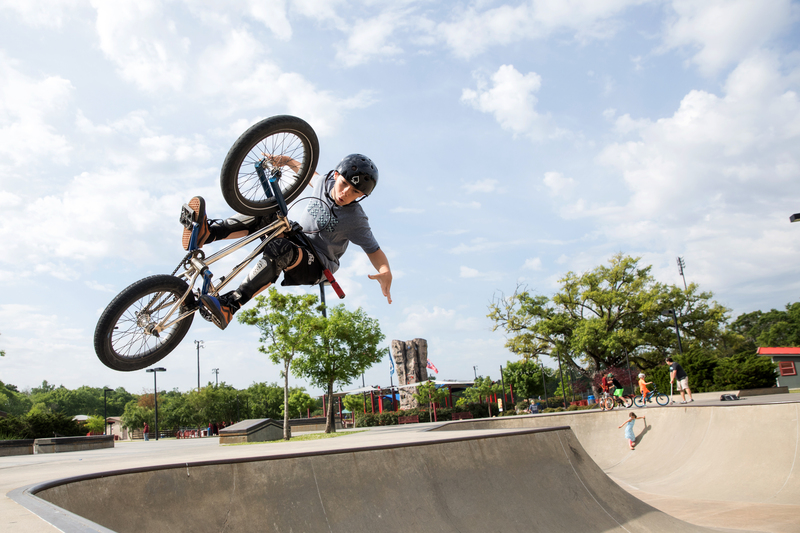 Get a taste of extreme sports at Perkins Road Community Park. 2. Head to Scott’s Bluff at Southern University for the best sunsets. Legend has it this is where the famous “red stick”—from which Baton Rouge got its name—was found. 4. Learn all about Louisiana’s native trees and shrubs at the LSU Hilltop Arboretum. The Highland Road facility—perfect for a stroll among shady trees you may not realize call Louisiana home—is free and open seven days a week. 7. See Baton Rouge from an aerial view with a hot air balloon ride. If you’ve ever wanted to fly off into the sunset in a hot air balloon like in The Wizard of Oz, now is the time. Look up Balloon Rides by Robert or Soaring Sports. 8. Go fish. Conservationists with BREC regularly stock lakes at places like the Burbank Soccer Complex and Greenwood Community Park with catfish, rainbow trout and other types of fish, so you can cast a line. 11. 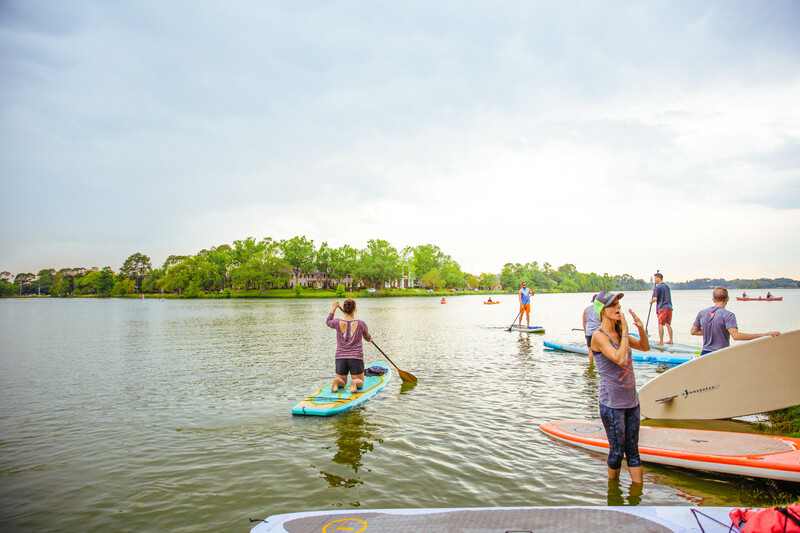 Get in the paddling spirit at Muddy Water Paddle Co.
16. Take a scenic bike trail through woods and over bluffs at Hooper Road Park and Comite River Park. The parks are just 3 miles apart along Hooper Road. 17. Go 18 holes at Webb Memorial Golf Course. It’s an idyllic south Louisiana setting, with huge oak trees lining the fairways. You can also go a few rounds at City Park Golf Course, Santa Maria Golf Course, Dumas Memorial Golf Course and J.S. Clark Park. 18. Cool down at a splash pad. Find them at City-Brooks Community Park, Forest Community Park, Greenwood Community Park, Highland Road Community Park, Jackson Community Park, and Zachary Community Park. 19. Pretend you’re an Olympian and get on the ice. 23. Go ahead and jump at one of the city’s two trampoline facilities. Head to Sky Zone Trampoline Park or Area 51 Extreme Air Sports to jump around. 24. Cycle down the Baton Rouge Levee Bike Path. Not only is it great for cycling, it’s also accessible to all your favorite downtown attractions, from the Louisiana Art & Science Museum to the Old State Capitol. 25. Work out at the newly improved North Sherwood Community Park. It features outdoor fitness equipment and nearly 200 planted trees. Independence Community Park also boasts outdoor fitness equipment, as well as a large pavilion for rentals. 28. Pull a Spanish Town flamingo out of City Park Lake. The annual arrival is always a surprise, so keep your eyes on social media (and your eyes peeled as you pass the lakes on the interstate). Come prepared: You will need a canoe to pull a flamingo out of the water. 30. Make yourself feel a little less like you’re in the Sahara Desert and a little more like you’re in a tropical getaway by visiting your local pool. Luckily, there are tons to cool off in, like the ones at City-Brooks Community Park and Howell Community Park. Here are 25 more ideas. 31. Watch a performance by the Baton Rouge Fire Guild’s collection of fire-spinning artists on Friday nights. Just be careful out there, pyromaniacs. Find them on Facebook. 32. See the Mississippi River crest downtown. It’s an annual rite of spring in Baton Rouge: watching the river come dangerously close to topping the levees as rainwater and snowmelt from up north make their way dowstream. Most times, the Baton Rouge letters on the levee are completely submerged. 33. Take in the view at LSU and City Park lakes. They are perfect for jogging, biking, or picnicking at the city’s only beach: Milford Wampold Memorial Park. 34. Tag, you’re it! Round up your friends for a game of laser tag. Gamers at Laser Tag of Baton Rouge don’t play laser tag; they live it. Play hard with the essential, state-of-the-art laser tag experience. You can also find laser tag at Skate Galaxy, Quarters or Cajun Laser Tag. 35. Become a kid again (or maybe just bring your kids) at Blue Bayou/Dixie Landin’. If you haven’t had these classic Baton Rouge experiences, have you really lived in Baton Rouge? 37. Switch up your lunch break plans and head to Am Mart. Get the pressed Cajun turkey sandwich at this Nicholson Drive convenience store long known for its inexpensive pressed sandwiches. Find it on Faacebook. 42. Go Old World at Pinetta’s. Open on and off since 1962, this European restaurant has charmed diners with a dimly-lit interior that’s straight out of The Godfather. Chianti bottle garlands and Old World figurines grace the walls, while Italian opera plays. Its red gravy recipe takes several days to complete. Find them on Facebook. 43. Stop and smell the shawarma. The Baton Rouge food experience isn’t complete without a fix of chicken shawarma, feta salad, baba ghanoush, rosewater-spiked iced tea and other Lebanese mainstays. Since the ’80s, Mediterranean restaurants have taken root in the community, and their momentum hasn’t faded. Try spots like Albasha, Atcha, Akasha, Almaza, Arzi’s, Serop’s and others. Fleur de Lis. Photo by Raegan Labat. 45. Embrace the rectangular pizza at Fleur de Lis Pizza. 48. Shop the independents. Most American cities are overrun with supermarket chains, but the Capital Region is flush in independent grocers. Shop Calandro’s, Matherne’s, Alexander’s, Calvin’s, Bet-R, Ralph’s, Rouses and others to find the latest local products, fresh prepared meals, seafood, experienced meat cutters and first-name-basis service. 49. Brave the inevitable sugar-dusting that will happen to your clothes at Coffee Call. Its bustling vibe and friendly menu make it a perfect spot for those late-night cravings for beignets and café au lait. Find them on Facebook. 51. Take advantage of our drive-thru daiquiri culture. South Louisiana didn’t invent the Styrofoam “go cup,” but we’ve perfected its application, especially when it holds a daiquiri. Local tradition demands stopping at spots like Daiquiri Café or Zippy’s to procure one (or more) on warm spring nights. 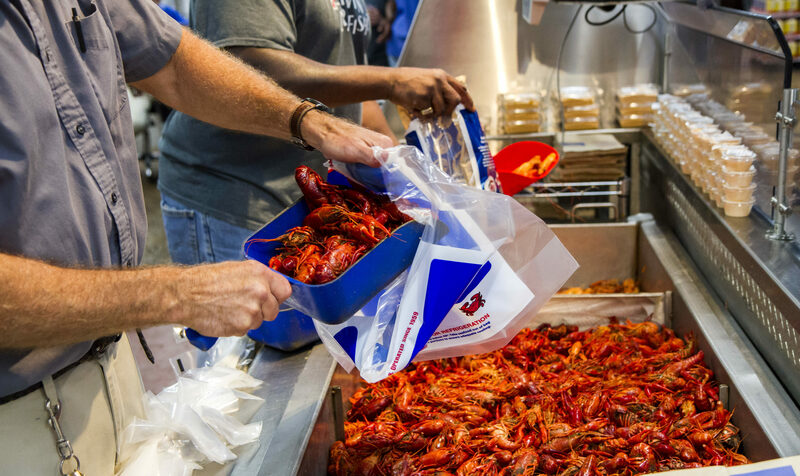 Combine it with a sack of boiled crawfish outdoors for total bliss. Just don’t drink and drive. 66. Feel the brews at a local coffee shop. No need to go to Starbucks when we have so many locally owned places. Highland Coffees and Teas coffee shop by LSU has long been known for its quality coffee roasted on site and a peaceful vibe. Order a dark roast, or head to a CC’s Coffee House, Brew Ha-Ha or Garden District Coffee to also support local. 67. 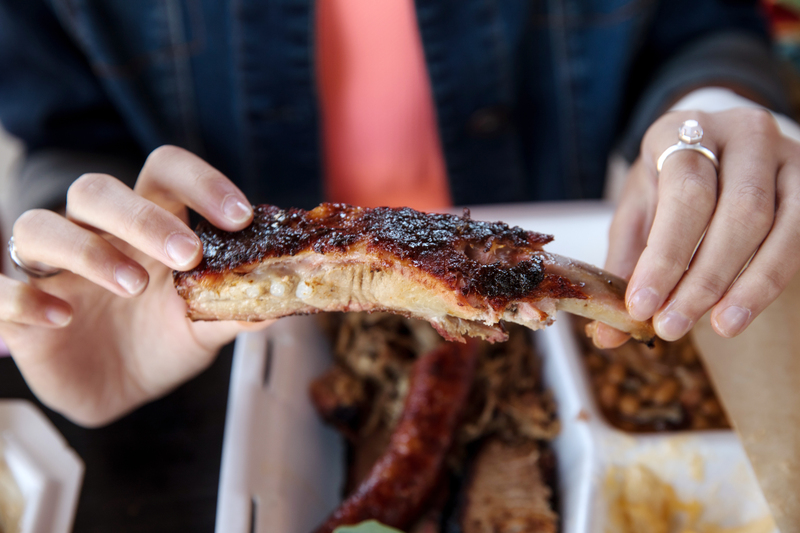 Get your fill of the city’s richest comfort food. Getting out for adventures, admiring art and basking in nature all have their place on a Baton Rougean’s agenda, but sometimes it’s just about that warm and happy feeling in your stomach. Some days, all you want to do is order up a plate (or paper carton or styrofoam to-go box) of your favorite comfort food. Here are some recommendations of food to feed your soul. • Fried Chicken at Delpit’s Chicken Shack: The longest continuous purveyor of fried chicken in Baton Rouge, the kitchen at Delpit’s Chicken Shack has been practicing a top-secret “knuckle-suckin’ good” recipe for 82 years. • Soul food at Dorothy’s Soul Food Kitchen: From turkey smothered in brown gravy to cornbread and stewed greens, it doesn’t get much more home-cooked than stick-to-your-ribs, slow-cooked soul food from Dorothy’s. Find them on Facebook. • More comfort food: You can read our full comfort food cover story online for even more dishes to try. 68. 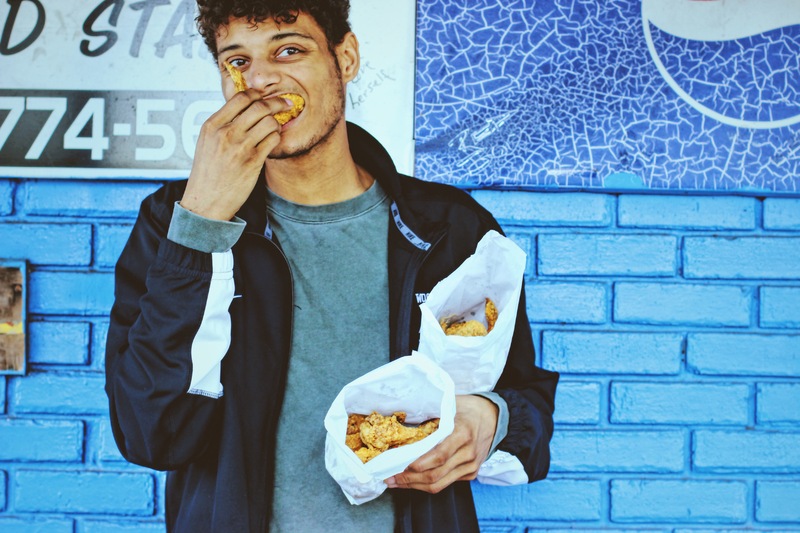 Brave the line for a taste of Triplet’s Blue Store fried chicken. Sold in convenience store splendor on both Plank and Highland roads, this hidden gem attracts followers from throughout the region. Find them on Facebook. 70. Have your sandwich dressed and pressed at Inga’s. Drop into the cozy, classic campus spot for your favorite combination sub. Note Inga’s signature touch: a shake of oregano and slivers of onion. Find them on Facebook. 75. People watch over animal pancakes at Louie’s. 82. Try as many snoballs as you can. By springtime, Baton Rouge is already snowed in. Wait—hold the “w.” Here, the only avalanche we have to worry about is the influx of snoballs warm weather brings. 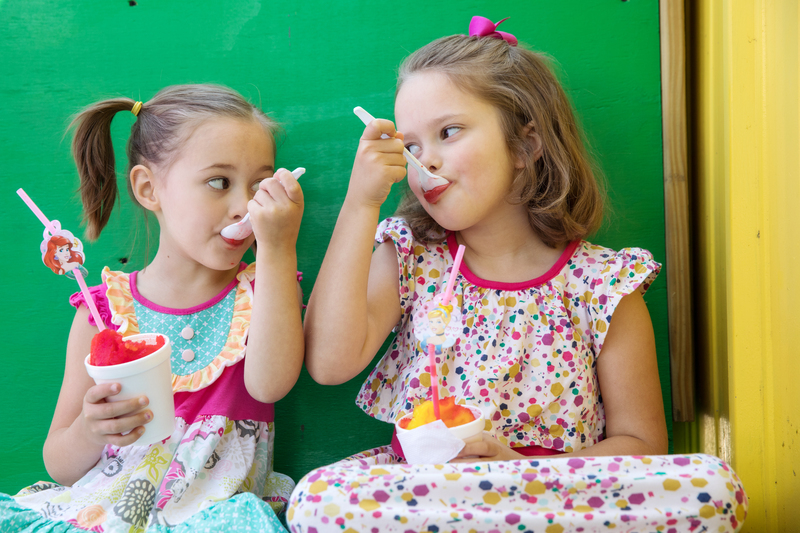 At stands across town, kids and adults cool off from the 90-degree weather with south Louisiana’s most famous frozen dessert. And oh, the possibilities. Each menu offers hundreds of combos of flavors and toppings. There’s ice cream stuffed between layers of syrup-drenched shaved ice. Condensed milk or morsels of cheesecake contribute creaminess. Slices of fruit add freshness. Add Nerds and sprinkles to really turn your snoball into a party. Whatever you’re craving, that colorful stand down the street probably serves it. • Strawberry-pineapple topped with fresh fruit by Cool Tiger Ice Snoballs. Find them on Facebook. • Strawberry cream with sprinkles by Snoman Snoballs. Find them on Facebook. Dim Sum. Photo by Collin Richie. 83. Expand your palate with international food. If you’ve exhausted Baton Rouge’s offerings of po-boys, fried seafood platters, burgers and fries, there’s still plenty of food to try—just venture beyond your borders. 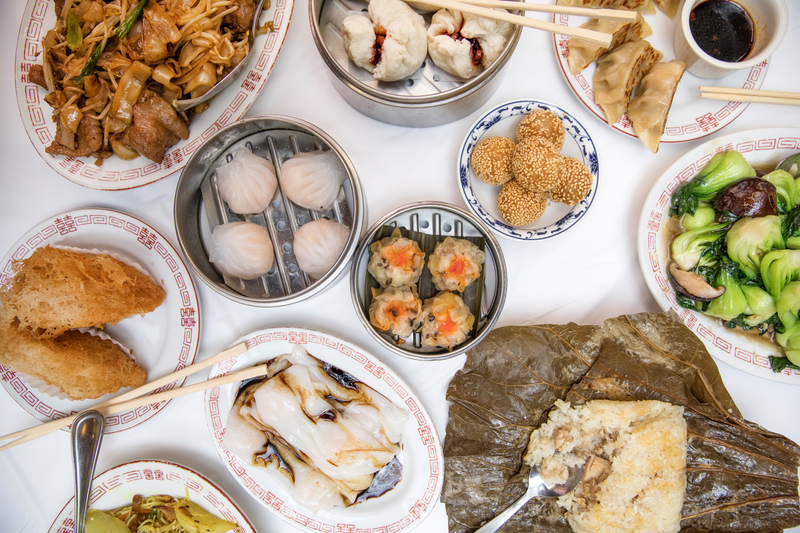 Take an around-the-world food tour of the city’s most vibrant and horizon-broadening flavors. 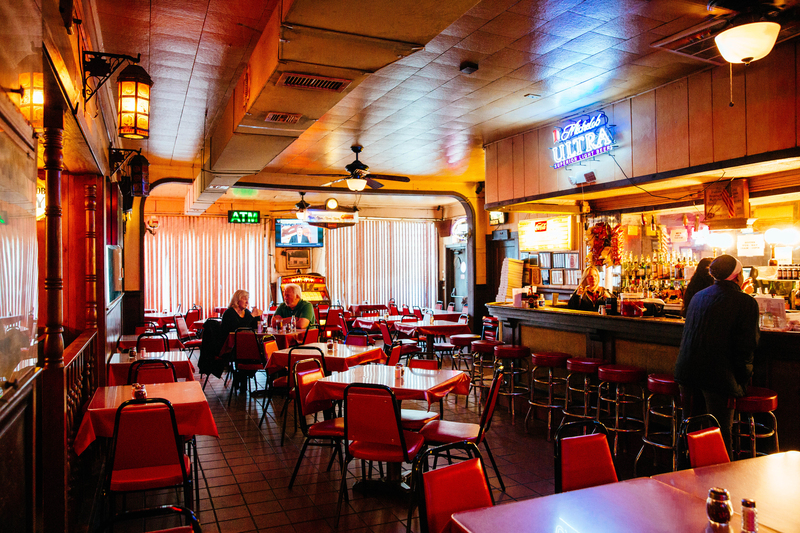 • El Rio Grande: If you want to get into the roots of Mexican cuisine in Baton Rouge, it doesn’t go much deeper than El Rio Grande, the oldest still-operating Mexican restaurant in town. Here the tamales are fresh, the margaritas are strong and the family-run vibe still hasn’t faded since the 1960s. Find them on Facebook. You’ve almost definitely tried Chinese, Italian and Mexican food, but you can find cuisines from all over the globe right here in Baton Rouge if you know where to look. Set your sights on sampling a cuisine or restaurant you’ve never tasted before. 84. Be like Zuck and eat at Smokin’ Aces. 92. Track down all the hidden concession stands at Tiger Stadium. Lava Cantina, City Gelato and Rock & Pops all had stands last season. Plus, the recently expanded menu at Death Valley includes finger-licking “Fry Staks”: French fries topped with either crawfish queso and trimmings, or gumbo style—with chicken and andouille gumbo and cheese curds. 94. Try a cupcake from a local cupcake shop, which are just as popular and plentiful as ever. 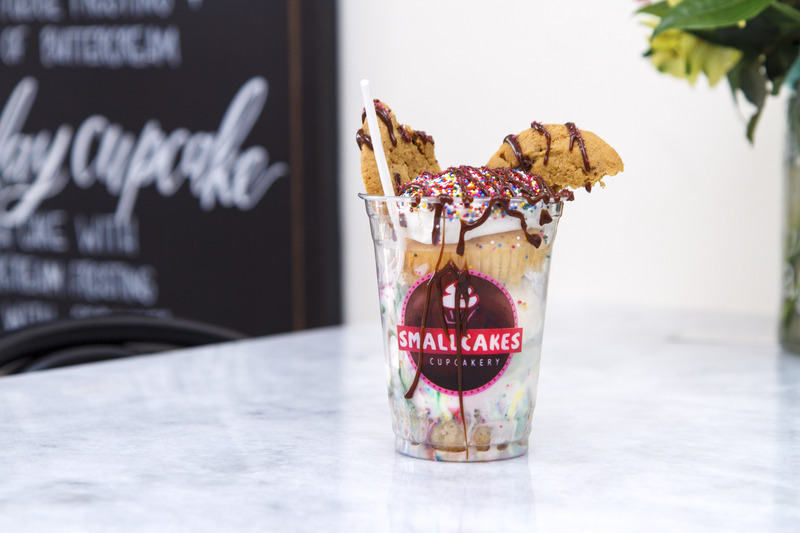 The wave of local cupcake shops like Cupcake Allie, Cupcake Junkie, Smallcakes, Bliss Patisserie and others are luring sweets lovers with their tiny wonders. Sample these mini-pastries in all sorts of traditional and experimental flavors. 103. Pop in at a pop-up. Barbosa, Chef Craig Lawson, Secret Lair Taqueria, Gov’t Taco, BouillaBabes and other local food professionals are out there putting on spontaneous dinners. Sample refreshing and innovative eats in bars and other gathering places around town. 104. 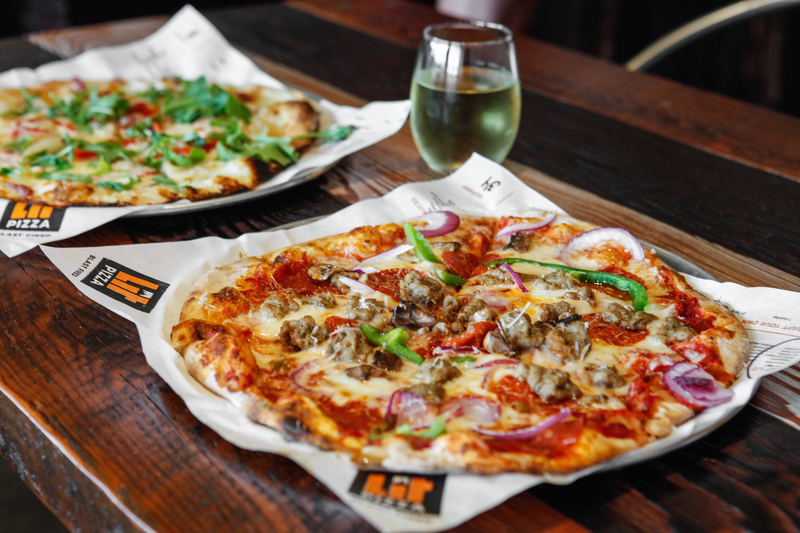 Experience Baton Rouge’s growing pizza scene. From Red Zeppelin, Schlittz and Giggles and Reginelli’s, to newcomers like Lit Pizza and Rocca Pizzeria, great pies abound in Baton Rouge. Taste your way through traditional and gourmet options. 105. Take your grocery shopping global. Shop at Vinh Phat Oriental Market for nicely priced Asian staples, Ideal Market for Latin American produce, fajita meat and goods, Kased’s Market for Halal meats and many others for your favorite global flavors. 106. Crawl your way through downtown. These days downtown Baton Rouge has plenty of bars—both divey and stylish. Happy’s Irish Pub, Boudreaux & Thibodeaux’s, the Roux House, Hound Dogs, City Bar, 1913, The Eagle, Huey’s, Blend, The River Room, Bengal Tap Room, hotel bars and others form an energetic and walkable bar scene. 107. Conduct a burger tasting tour. Around here, it’s hard to find a restaurant that doesn’t serve a burger. 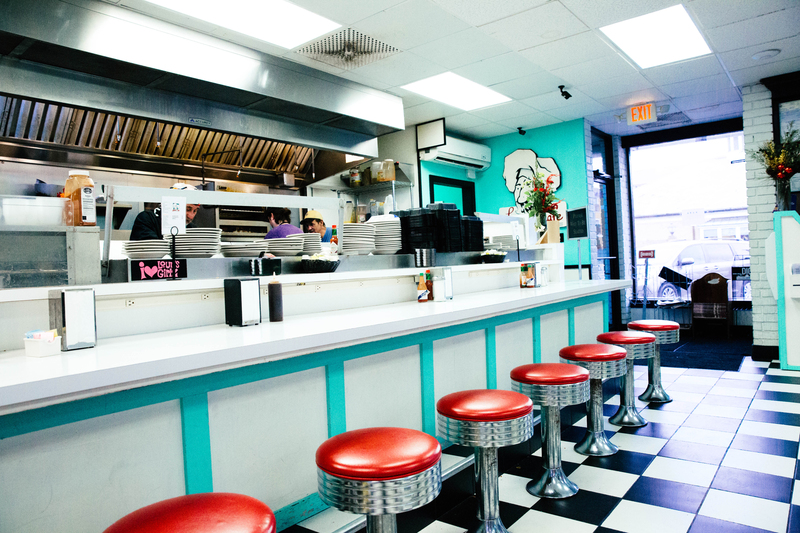 Prepare your palate with the classic cheeseburger at beloved diner Dearman’s, and branch out from there. Tell us in the comments online about your favorites. • Breakfast Burger at Mason’s Grill: Sweet sourdough bun, a fried egg, American cheese, homemade sausage patty, another fried egg, bacon, lettuce, tomato, onion, ground beef patty. Find them on Facebook. 108. Try some food truck fare. Things were slow for a while on the food truck scene, but 2018 has already given us three new trucks: Basel’s Market Food Truck, Rock Paper Taco and Geaux Cuban. 110. Make the rounds at Bistro Byronz. This Louisiana-meets-France family-owned eatery has a little-somethin’-somethin’ for everybody. Start with the tangy, creamy blue cheese dip with homemade chips, then move onto Gulf fish amandine, chicken and Parmesan dumplings. Stop by its sister restaurant Flambée Café for some tarte flambees. 111. Take a day—or a month—for a local doughnut tour. This town takes sugary fried dough seriously. Sample curated versions like maple bacon and lemon crème brulée at Tiger Deauxnuts, experience the gossamer lightness of Mary Lee, and try the crazy range of doughnut-centric menu items at District Donuts. Come Carnival time, pick up a donut batter king cake from Thee Heavenly Donut. 112. Try the new bar menu at Driftwood Cask & Barrel. Chef Sean Rivera (who also helps lead chef collective Gastreauxnomica) offers Southern eats like chicken fried steak, pulled pork and shrimp hoagies. 113. Snap some Instagrams at the new Superior Grill. The restaurant on Highland Road has plenty of material to work with, from neon and marquee lights to patterned tile floors. The margaritas, live music and bustling bar scene are just as good here as the original location on Government Street, too. 114. Tap and taste. Baton Rouge’s burgeoning craft beer and spirits sector is happy to show you how they do things. Join a tour at Tin Roof or Southern Craft breweries, or peer inside craft spirits producers Cane Land and Baton Rouge Distilling. Watch for the flurry of new breweries and taprooms opening this year, including Rally Cap, Cypress Coast and Le Chien. There just might be a beer revolution brewing in Baton Rouge. 115. Get your soup and sandwich, Saigon style. Vietnamese eateries are on the rise in Baton Rouge. There are old guards like Dang’s and Little Saigon, but recent years have brought a variety of new options like Ava Street Cafe, Pho Cafe and Bao Vietnamese Kitchen. Multiple options allow you to experience one of the best lunches in the Capital City, a banh mi sandwich and a bowl of pho, each made with your protein of choice. 120. Step into a storybook at the Knock Knock Children’s Museum. 121. Let all that binge-watching pay off at trivia nights. 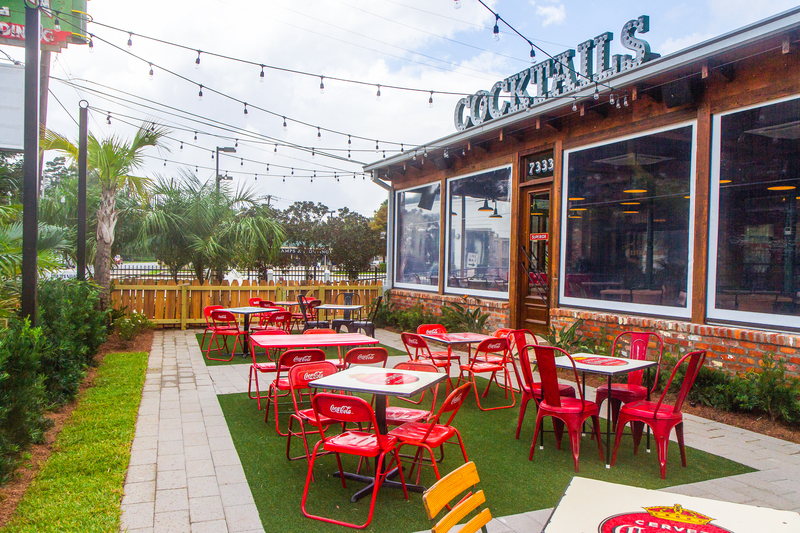 Check the schedules at spots like The Londoner, Curbside, Corporate Brew & Draft, The Cove, George’s Place, The Bulldog, Schlittz & Giggles, Pluckers, Mellow Mushroom, The Chimes, Varsity Theatre and many more. 122. Explore Louisiana’s history at the Capitol Park Museum. Size up a 42-foot wooden shrimp trawler and a Civil War submarine, and learn about famous Louisianians. 123. LOL with local comedy groups. We have a ton in town now, like Delete Comedy, The Family Dinner Comedy Troupe, Issa Comedy Show, NO SHOW Comedy, Leather Apron Theatre Co. and Side Quest Comedy. 132. 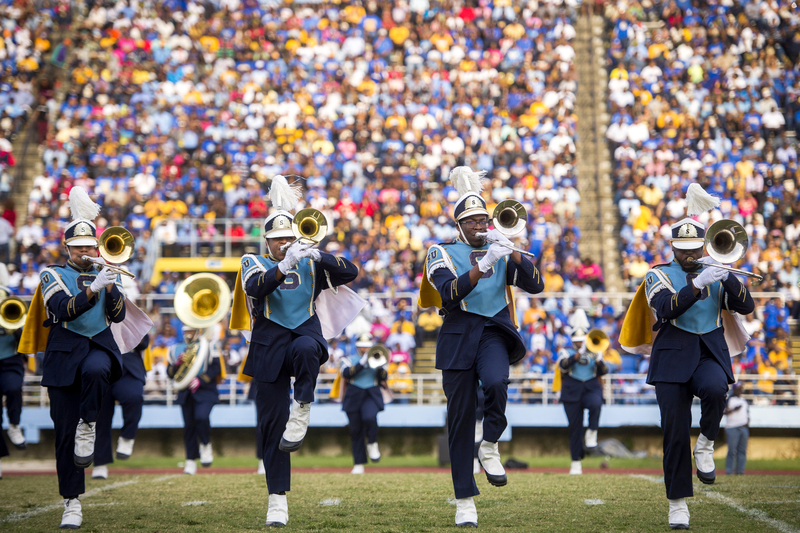 Cheer on the Jags at a Southern University football game. • Enjoy the sounds of local blues musicians at Baton Rouge’s oldest club, Phil Brady’s Bar & Grill. • See your favorite visiting big names at the Varsity Theatre near LSU’s North Gates. • See an indie show at Mid City Ballroom, a former church transformed into an all-ages venue. • Head to Bee Nice Music for neighborhood jams in an outdoor setting with vintage campers. • Jam with local singer/songwriters at Red Dragon Listening Room. • See a local band at Spanish Moon, or do the moonwalk at its ’80s nights. • Sit under Christmas lights year-round at Teddy’s Juke Joint, Baton Rouge’s signature blues club. 139. 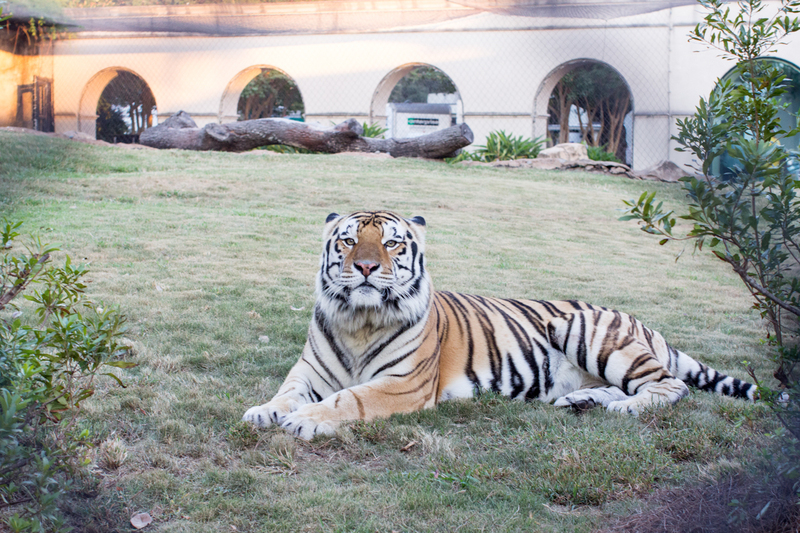 Visit Mike the Tiger in his $3 million habitat. 141. Spend an entire day at The Shaw Center for the Arts. Catch a movie, concert, play or comedy show at Manship Theatre and Hartley/Vey Studios. Stroll through the rotating art exhibits at the LSU Museum of Art, The LSU School of Art Glassell Gallery and Manship’s second floor gallery. When you’re ready for a break, grab a bite to eat at Tsunami, Capital City Grill, Stroubes or PJ’s Coffee. 142. Warm up those vocal chords for karaoke. Whether your go-to is Whitney Houston’s “I Wanna Dance with Somebody” or Queen’s “Bohemian Rhapsody,” put on a show at spots like Hound Dog’s or Ruffin’s. 148. Show your support for children in the arts. Volunteer or become a mentor with organizations like New South Story Lab, Forward Arts Inc., The Futures Fund, The DeBose Foundation and Kids’ Orchestra. 149. 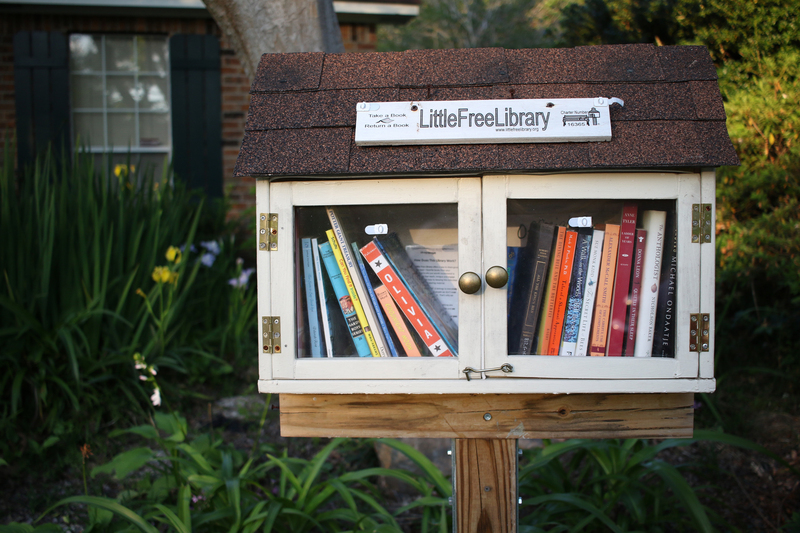 Spend an afternoon tracking down all the Little Free Libraries in town. They look like miniature houses—or in some cases, barns and schoolhouses. But these small structures are full of donated books and magazines. The publications are free for the taking, and you never know what you’ll find inside. We’ve seen it all: cookbooks, children’s novels, fashion magazines, poetry compilations, dictionaries. There are more than 30 registered in the Baton Rouge area. Pull up the map on your phone: littlefreelibrary.org/ourmap/. 150. Hit the streets for some amazing art. Baton Rouge has gone from shades of concrete gray to full-on technicolor in recent years. Several organizations, artists and businesses have beautified drab buildings in all corners of the city. The Walls Project, for example, has added color to the sides of office buildings downtown with the help of local and regional artists. 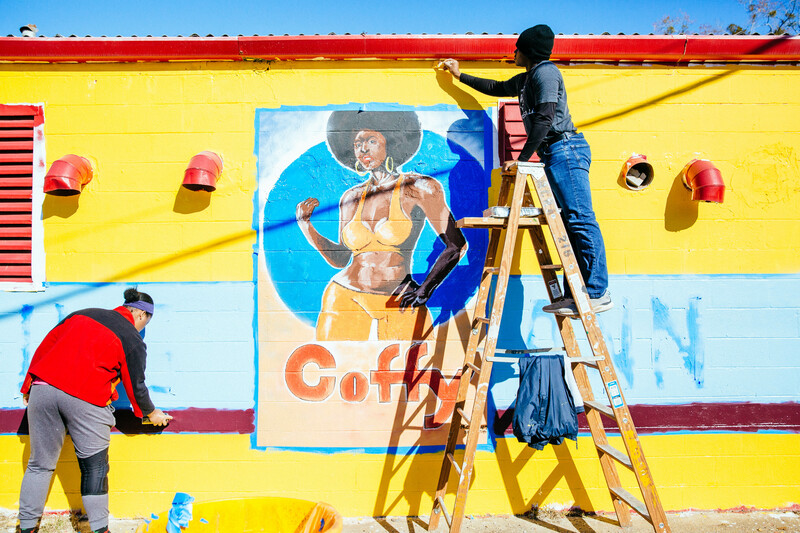 The Museum of Public Art put Old South Baton Rouge on the international map by bringing in top-notch street artists from across the globe to paint colorful murals on dilapidated structures. 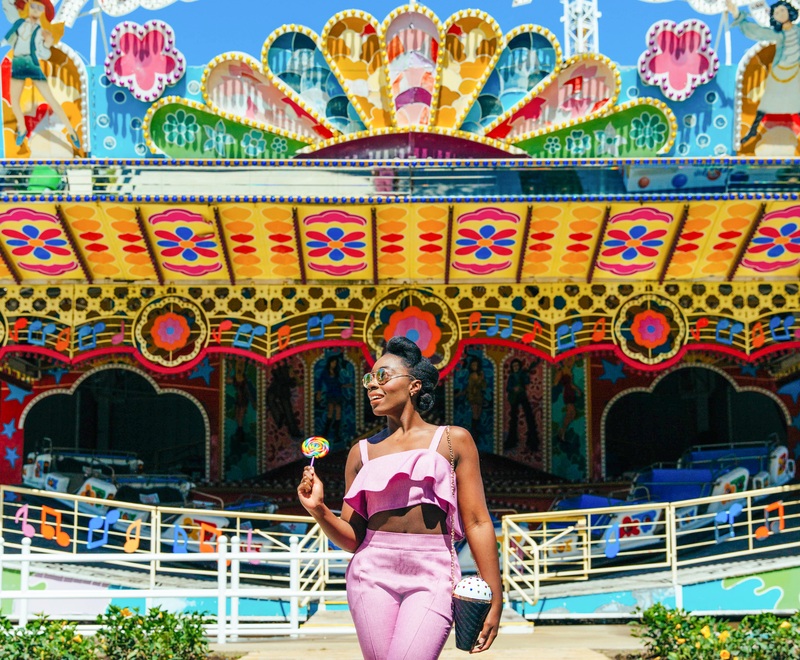 From trendy, Instagrammable designs to sobering depictions of African-American history to vibrant temporary murals, there’s plenty of street art to see in Baton Rouge. Hop in the car and take a tour! You’ll be viewing works by some of the most talented street artists in the world right here in the Capital City. 153. Celebrate Juneteenth at Odell S. Williams Now & Then African-American Museum. Learn about notable African-American achievements, artwork and inventions, handle early 20th century rural life artifacts, and take the art and history walking trail under the I-10 overpass. 155. Take a selfie at the Main Library at Goodwood’s rooftop garden. 157. See a local dance performance. Be mesmerized by a modern show by Of Moving Colors or the Cangelosi Dance Project, or wear your best attire for Baton Rouge Ballet Theatre’s classical ballet productions. Find your people at a local meetup or get-together focused on everything from running to Star Trek to bourbon. Baton Rouge hosts dozens, catering to just about every hobby imaginable. Check out some suggestions from our March 2018 cover story. Berlin and Bella Gomez enjoy the candy bar at Giggles. Photo by Collin Richie. 159. 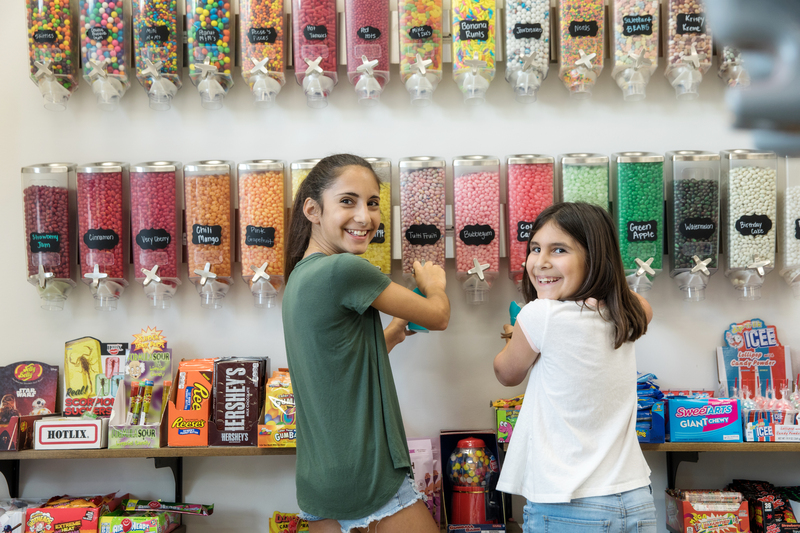 Make your own candy bag at Giggles. 161. Sip and shop at 1010 Nic. A run-down produce warehouse was transformed into nearly 20,000 square feet of hip retail space with tenants like the Monochrome furniture store. The center hosts block parties with drinks and food a few times a year, but if you’re not around for the party, sip on whiskey at barbershop and salon Mercer Supply Co.
163. Go to market. Our local arts markets, that is! Pick up a hand-painted ceramic mug, Southern-themed jewelry or a colorful puppet at the downtown Baton Rouge Arts Market on the first Saturday of every month and the monthly Mid City Makers Market. 165. Buy a hat or seersucker suit at Bates & Thigpen. The dapper menswear store has been downtown for nearly a century. 169. Shop for cool eyewear at Smarter Eyewear or the Optical Shoppe. Both businesses carry a selection of high-end designers. They’ll have you looking good and, most importantly, seeing clearly. 170. Shop designer. You don’t have to travel to a big mall in Houston to find high-end designers. Kiki stocks covetable pieces by Chloe, Tory Burch and Marc Jacobs. Find on-trend separates from Nanette Lapore and Tom Ford at NK Boutique. Make the trip over to Edit by LBP for pieces by Vince, Helmut Lang and Rag & Bone. For men, head to Harper’s Haberdashery for Lucchese and Robert Talbott. Or pop into men’s stores along Jefferson Highway for classic styles from Peter Millar, Billy Reid and local brand Southern Marsh. 173. Hunt for vinyls. Record shops have come and gone, but you can still browse for some cool finds at Capital City Records or The Exchange. 174. Visit with animals at Capital Area Animal Welfare Society. 175. Shop at a thrift store that gives back. Check out shops like Here Today Gone Tomorrow, where you can donate to the charity of your choosing, and Connections for Life, where sales support women in need. 178. Go sleek and unique at London’s Accessories. The store is full of classy, work-appropriate pieces that also wow. Find them on Facebook. 180. Go on a shopping spree in the Jefferson Highway area. There’s so much shopping to do along Jefferson Highway. From Government Street to Essen Lane, the stretch of road is basically its own built-in local boutique crawl. You can find dozens of shops to browse, but here are 14 to get you started. Don’t stop here—keep expanding that map, and shop ‘til you drop. Floaty materials and flirty, feminine silhouettes make this women’s boutique fit its dreamy name. Come in for a sweet look that’s a little bit boho and a little bit chic. Find them on Facebook. 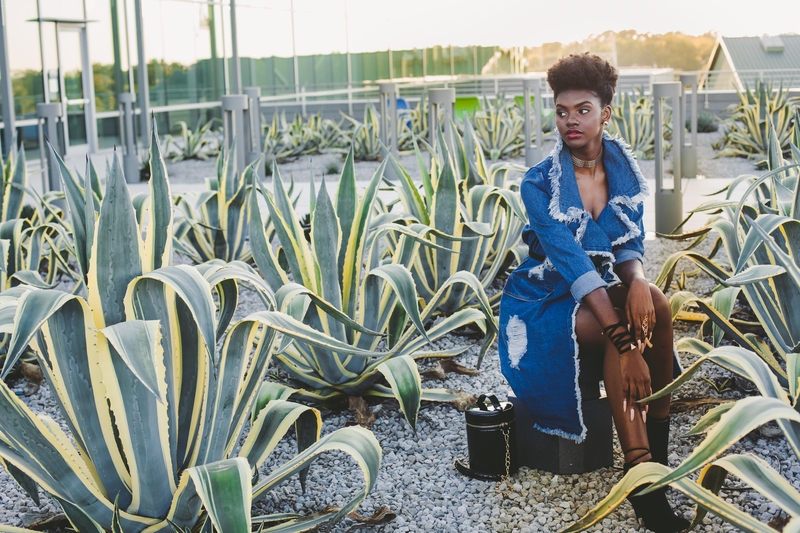 Head into Towne Center for a slew of shopping options, including Eros, a women’s boutique bridging the gap between adult and young adult. Ideal if you’re looking for classic pieces with a modern twist. Find them on Facebook. This boutique brings women’s fashion on the mature side, with comfortable fabrics, sensible cuts and maximum wearability. Find them on Facebook. 181. Antique and vintage shop along Government Street. 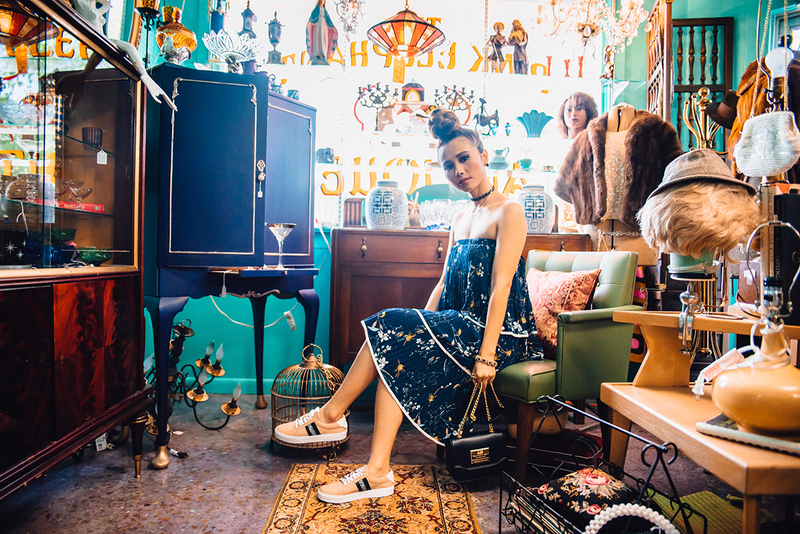 Restock your closet or redecorate your home with vintage and antique goods found along the city’s most popular stretch of road. Stroll through Time Warp, The Market at Circa 1857, Aladdin’s Lamp Antiques, The Pink Elephant and more. 183. Get a fresh cut at one of the city’s classic barbershops. Head to the beloved Cutrone’s Barbershop, where staff can give you a precise cut and a classic shave, or Bocage, which has served the city for more than 50 years. 184. Give yourself a little “me time” at a local spa. Get a facial, mani-pedi or massage at Bumble Lane, or get yourself to The Retreat, which does all of that and will even whiten your teeth. 185. Discover there’s more to casinos than gambling. Do yoga on the balcony overlooking the water at L’Auberge, or visit the Belle of Baton Rouge for live music. If there’s one thing we know how to do in Louisiana, it’s throw a good party. All of these events are recurring, although some only happen annually. You know what to do: Mark your calendar now. 190. Get some soul-food cooking downtown at the first Baton Rouge Soul Food Festival. May 19-20. 192. 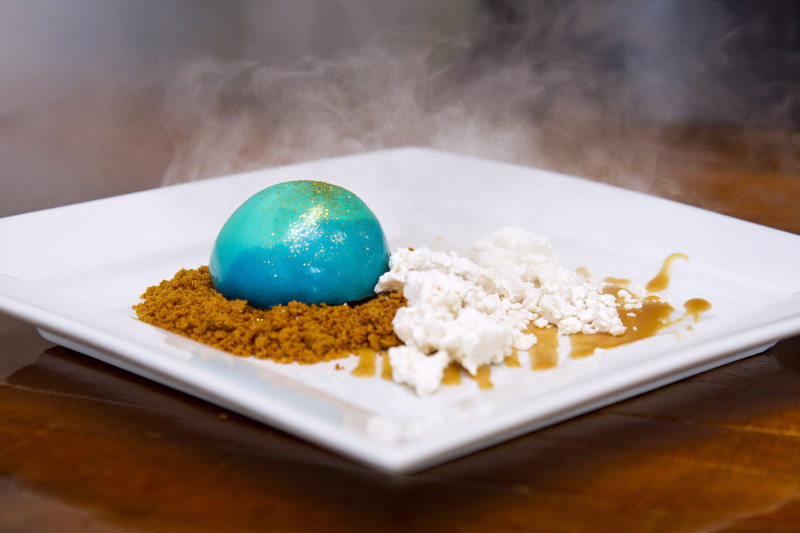 Put on your cocktail best and sample some of Baton Rouge’s most inventive dishes at Fête Rouge. 193. See 1,600 pounds of fireworks light up the Mississippi River at the Fourth of July Spectacular. July 4. 195. Witness the celebrity grape stomp and ceremonial presentation of the Italian maids at the Italian Heritage Festival. July 21-22. 196. Travel to other countries without leaving Baton Rouge through film. Watch the films from Ireland at the 10th annual Irish Film Festival, July 27-28. The Manship Theatre also hosts several other cultural film festivals throughout the year, such as the Baton Rouge Jewish Film Festival and the European Film Festival. 197. See Louisiana from above at the Ascension Hot Air Balloon Festival. Candy-colored hot-air balloons glow in the sky over Gonzales. Sept. 21-22. 198. Come face to face with a rhino at the Baton Rouge Zoo—all while drinking a beer. At Brew at the Zoo (Oct. 5), sip on craft brews from Louisiana and beyond while saying hi to the tigers and giraffes. The zoo hosts several events in the fall, including Boo at the Zoo (Oct. 20-21 and Oct. 27-28) and Zoolights (Nov. 23-Dec. 30). 199. 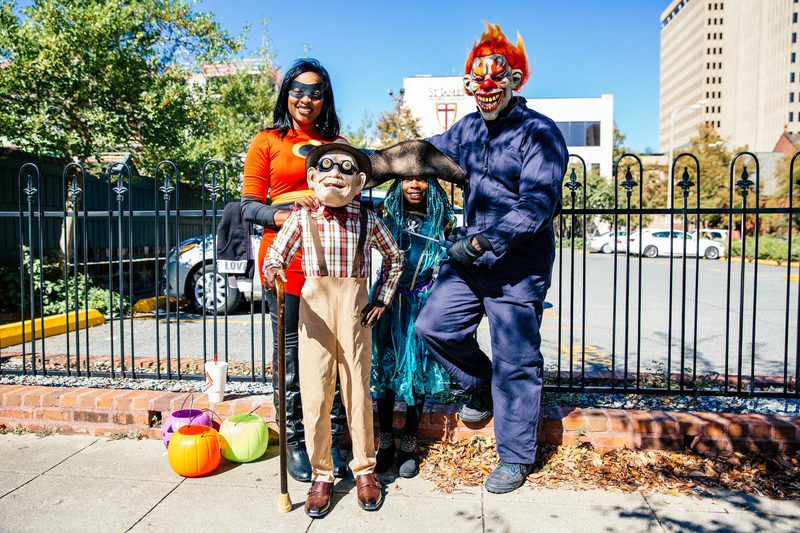 See parading krewes, dancers and bands at the Baton Rouge Halloween Parade. 201. Catch community spirit at Henry Turner Jr. Day. The event features music and an awards presentation for civic works. Oct. 28. 202. Celebrate the historic Chimes Street neighborhood and commercial district at North Gate Fest. Nov. 2. Find it on Facebook. 203. Meet authors and attend writing workshops during the Louisiana Book Festival. Authors read and sign their books, participate in panel discussions and lead workshops. Nov. 10. 204. Prowl through Mid City’s Ogden Park when the neighborhood becomes a festival grounds. The Ogden Park Prowl features blocks of art, crafts, music and food. Stay tuned to its website for 2018 info. 205. Do some late-night holiday shopping at White Light Night. Mid City shines during this annual event. Shops stay open into the evening, and street vendors pop up along Government Street serving up some of the city’s most creative art, crafts, food and music. Nov. 17. If you can’t wait until the fall, though, get a taste of the springtime version at Hot Art, Cool Nights Friday, May 11. 206. 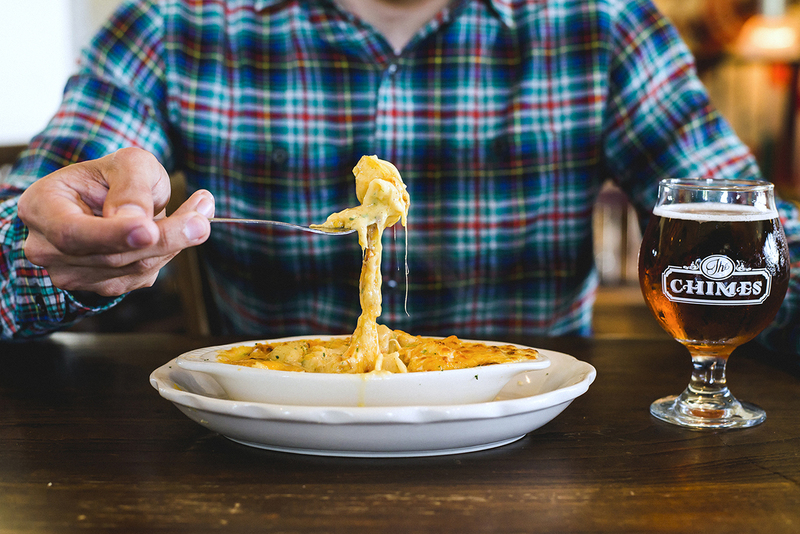 Try all of the mac and cheeses made by local cooks in the Capital City Mac and Cheese Fest. Stay tuned for 2018 info. • Festival of Lights: The lighting of a 35-foot-tall Christmas tree against a backdrop of fireworks and tons of manufactured snow is the city’s oldest Christmas-season tradition. • The Cortana Kiwanis Christmas Parade: Dance troupes and floats like a Mardi Gras celebration—except all the songs are about Christmas. • The Baton Rouge Ballet Theatre’s The Nutcracker: A Tale from the Bayou. Its dancers give Tchaikovsky’s holiday perennial a Cajun twist. Dec. 15-16. 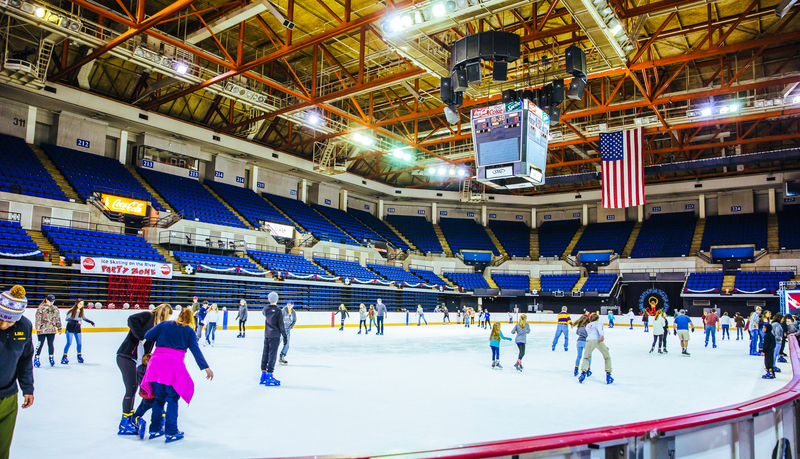 • Raising Cane’s River Center Arena ice rink. From late December through the first week of January. • Go caroling, see lights and see a show during the holiday season. Besides the downtown happenings, there are more than 30 annual recurring events jingling all the way through December, from light displays at the Baton Rouge Zoo, Baton Rouge General, Blue Bayou and Lamar Dixon Expo Center to caroling in Perkins Rowe. Look for 225‘s annual Holiday Happenings guide online. 208. Paint a mural at MLK Day Festival of Service. 212. Catch some throws at more than a half-dozen local Mardi Gras parades. The Southdowns parade is family friendly. The Spanish Town parade is outlandish. Krewe of Mutts’ costumed canines are the cutest. The 2019 season culminates March 5 with Fat Tuesday. Check out our Baton Rouge Mardi Gras cover story from the February 2017 issue for more Fat Tuesday ideas. 215. 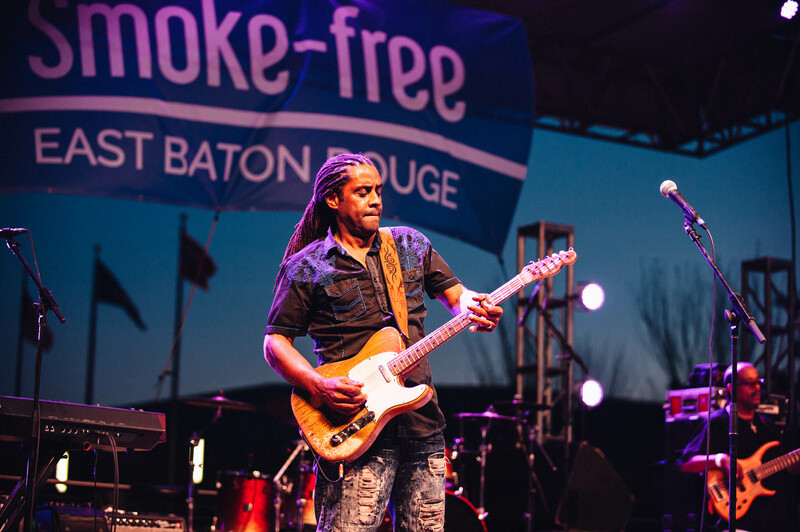 Meet a blues musician at the Baton Rouge Blues Festival. 222. Dance to live music every week—for free. Fall and spring always bring new outdoor concert lineups to Baton Rouge, and with three recurring weekly events there are plenty of acts to choose from. Thousands head to Galvez Plaza for Live After Five’s eclectic lineup of zydeco, Cajun, jazz, rock and variety bands. Sunday in the Park brings bands from throughout the Gulf South to downtown. Rock N Rowe presents a variety of bands in the Perkins Rowe Town Square. 223. Go grassroots at Mid City Rising, a monthly pop-up of art, music and food. Presented by The Collective gallery space and Pink Elephant Antiques the last Saturday of every month. Find it on Facebook. 225. Be a part of the conversation. We may not have had room for every single event, activity or restaurant in Baton Rouge, but that’s where you come in. Tell us in the comments section below what your 225th thing to do is! This article was originally published in the May 2018 issue of 225 Magazine.